AGAR and the AMHERST COUNTY PUBLIC LIBRARY will co-host a workshop for children fifth grade and below to make Raven and Black Cat puppets in conjunction with the Amherst County Parks and Recreation Annual Fall Candy Hunt. The event will take place on the grounds of Coolwell Park on the evening of October 29, 2016 from 7 to 8 pm. 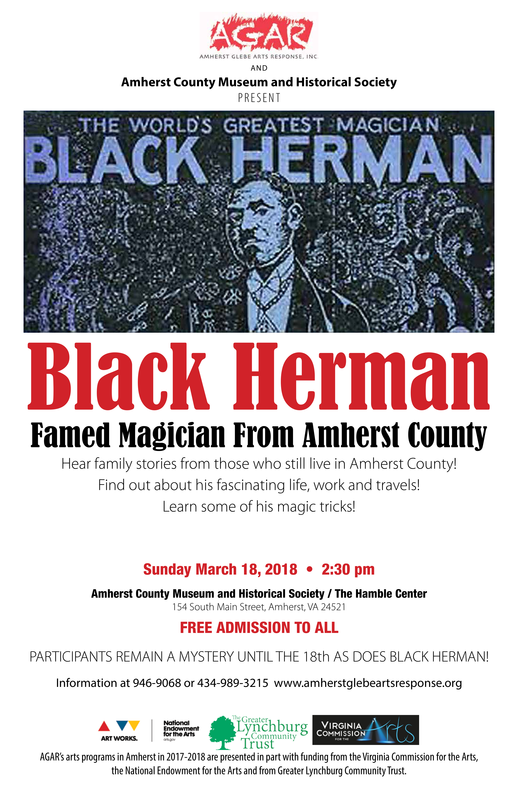 Family event free and open to the public. Information: 434-946-9371. Event on Facebook. Poe poetry will be read to the assembled. On the Sweet Briar College "Quad"
AGAR has been asked to participate in the first modern-era "Amherst Day" at Sweet Briar. AGAR will screen free of charge several of its digital videos based on first-person interviews with students, parents and teachers from Amherst County Schools in the first 3/4 of the 20th century. The interviews were edited into documentaries about education during the period. The films explore African-American, Monacan and white segregated schools prior to 1960, and the process of integration in the 1960's and 1970's from the perspective of students aged six to 17, and their parents and teachers. The documentaries, produced between were directed by Mia Magruder and later by Lynn Hanson, and edited by Ms. Magruder and Bill Noel of the Donovan Media Development Center at Lynchburg College. • Botanical artist Virginia Klute will exhibit watercolors and prints of flowers and plants mentioned in Shakespeare’s writings. The exhibits will be on display at both branches until April 30 at Noon. • Costumes from Shakespearian plays performed at Lynchburg College will be exhibited from April 23 until April 30. • Children’s books about Shakespeare will be on display from April 18 to April 23 and can be checked out any time after Noon on April 23, 2016, from the circulation department. 10:15 am: Volunteers will be reading Shakespearean sonnets and speeches from the plays in which the herbs in the prints and the costumes on exhibit were discussed. 10:45 am: Melodie Fletcher will talk about the Paul Robeson stage production of Othello and how it was the longest-running Broadway production of a Shakespearean play. 11:00 am: Marcia Robertson will introduce the 1968 movie Romeo and Juliet. She will discuss director Franco Zeffirelli’s vision for the film, primarily shot in Italy, with a cast of very young actors. 1:45 pm: Marcia Robertson, PhD, will introduce the 1996 movie Romeo + Juliet, discussing director Baz Luhrmann’s vision for the film, filmed in Mexico and California. 10:00 am: Children ages 5 to 12 are invited to join in planting a “Shakespeare Herb Garden” at the library. The garden will be tended throughout the summer reading program. Please wear clothes suitable for gardening. 11:00 am: AGAR Director Lynn Kable will introduce West Side Story, a 1961 movie based on a 1957 Broadway musical, based in turn on Shakespeare’s Romeo and Juliet. The “book” was by Arthur Laurents, direction and choreography by Jerome Robbins, music composed by Leonard Bernstein, and lyrics by Steven Sondheim. Mrs. Kable will also discuss opportunities these productions gave to Puerto Rican performers in the 1950s, and opportunities the Broadway play and film did not offer. 2:00 pm: Mrs. Kable will introduce the 1936 movie Romeo and Juliet, directed by George Cukor. 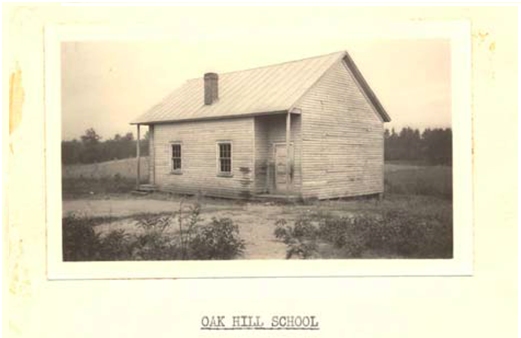 February Presentations of "Remembrances of Amherst Schools Past"
AGAR will collaborate with the Amherst County Museum to present a program on local history on February 21, 2015 at 1:00 pm in the Amherst County Museum and Historical Society's Hamble Building in back of the main museum, 154 South Main Street, Amherst, VA 24521. AGAR will show two of its new documentaries on the subject of going to school in Amherst County in the first three quarters of the 20th Century. "Old Pleasant View School" features interviews with five women who studied at the school. Evelyn Jeeter began first grade in 1925, and tells wonderful stories of riding her horse to school. Also interviewed for this video were Eleanor McClanahan, Elsie Adcock, Isabel Hundley and Rita Keith Jefferson. Most of the old school, which closed in 1953, has been torn down, but the old auditorium still stands as a community center of New Prospect Baptist Church in Monroe, VA. New Pleasant View School which opened in 1953 is still in use today. Telling AGAR of the school's first days were Rita Keith Jefferson and her sister Beverly Keith Campbell. Jim Hicks, who taught there at the time of school integration, also spoke of his memories. Speaking about the schools will be Mrs. Keith, Mrs. Hundley, Mrs. Adcock and Mrs. Jefferson. After the AGAR videos have been screened, the audience will go to the main building where they will be taught about using library materials to research their own family history. On February 22 at 2:30 pm at Elon Baptist Church, 145 Younger Drive, Madison Heights, AGAR and the church will co-sponsor showings of the DVDS highlighting interviews from Old Elon School, New Elon School (opened 1968) and Pedlar Mills School. On hand to talk about the schools will be Florence and Holcomb Nixon and their son Allen and his wife Glenda Nixon, and Lynn Kable who interviewed a number of the participants. On February 28, at 2:15 pm at the Amherst County Public Library Amherst Branch, 382 South Main Street, Amherst VA 24521, AGAR will show videos about the Town of Amherst at the time of integration of the schools. DVDS shown will include one about teachers and students from Amherst Academy, a private school, and one about the students and teachers of Amherst County High School. Lynn Hanson will facilitate the afternoon's video showings and interviews with people who appeared in the films. All showings are free of charge and open to the general public. AGAR's interview and showing team for 2013-2015 include Kathryn Pixley, Kitty Swanson, Sandra Esposito, Lynn Kable, Ned Kable Jean Higginbotham, and Bev Jones. Sources of photographs and materials about schools histories are Helen Massie, Betty Wimer, Marita Taylor, Leah Settle Gibbs, Holcomb, Florence, Allen and Glenda Nixon, Jackie Beidler, Jean Thomas, Judy Faris, and Mary Brugh. Edward Kable did the videography, and Lynn Hanson and Lynn Kable directed the documentary films. AGAR's collection of first person stories from over 50 people and the documentary films were funded in part by the Virginia Foundation for the Humanities and the Greater lynchburg Community Trust, and documentary editing assistance was provided by the Donovan Media Center at Lynchburb College, Bill Noel Director. We also had archival assistance from Amherst County Museum, Public Libraries and Schools and from Tusculum Institute at Sweet Briar College. Premiere of the AGAR documentary of first-person stories from students and teachers about the Temperance Schools from the 1930's until the late 1960's. Discussion with people who appear in the film. The Ruritans will serve supper to those attending. Free of charge. Please reserve at 434-989-3215. 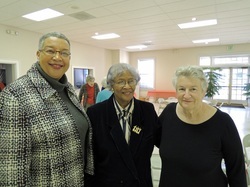 Beverly Campbell Jones, Hazel Wood Thompson and Lynn Kable presented a program about segregation and integration in Amherst County in early 20th century public schools for the American Association of University Women (AAUW) Lynchburg Chapter at Chestnut Hill United Methodist Church on November 14, 2013. Speaking live were Hazel Wood Thompson and Beverly Campbell Jones and Lynn Kable. Mrs. Thompson attended a two-room school in Madison Heights, and later the brick school, Madison Heights/Colony Road, built in 1939, which provided the first opportunity for Madison Heights African-American students to attend high school. Mrs. Thompson explained that her parents and sister had helped to raise money to built this school by selling hot dogs and cookies. Finally, Mrs. Thompson was a parent to some of the first African-American students to integrate Amherst County High School. Beverly Jones first attended segregated Madison Heights Colony Road and Central High School, and then was a teacher at Central Elementary School during the early days of integration before teaching over 30 years in Amherst and Monelison Middle Schools. Lynn Kable has produced eight films for Amherst Glebe Arts Response, Inc., edited by Mia Magruder, from first-person interviews with over 74 students, parents, teachers, connected with Amherst County Schools from about 1915 through the mid-nineteen-seventies. Lynn Rainville, PHD was Humanities Advisor. Another AGAR project is currently underway to interview others from other mid-twentieth century Amherst County Schools with funding from the Virginia Foundation for the Humanities and Greater Lynchburg Community Trust. Amherst Glebe Arts Response, Inc. (AGAR) has received word that we will be partially funded by Virginia Foundation for the Humanities and Greater Lynchburg Community Trust for 2013-2014 to continue the organization's schools research through a new oral history, documentary and public presentation project titled, "First Person Accounts of 20th Century Amherst County Schools." We will continue to learn about one-room, community, and consolidated schools prior to and during integration from the perspective of formers students, retired teachers and parents. Please contact AGAR through this website or at 434-989-3215 if you would like to be a part of this project. 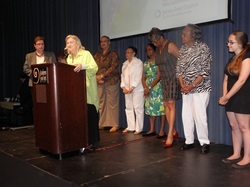 James River Council for the Arts and Humanities honored AGAR's African-American Schools Project and Project Director Lynn Kable with its Volunteer Award for 2013. Pictured are (from left to right) JRCAH Board President Deirdre Serio, Lynn Kable, Project Outreach Coordinator Beverly Jones, and project participants Daisy Jones, Eva Jones, Juanita Roberson, Clara Jackson, and filmmaker Mia Magruder. Hidden behind podium were AGAR board member Lillian Burks and project participants Irving Reed and Dorothy Jackson. The AGAR project consisted of oral histories, documentary films and public presentations of teachers, parents and students in Amherst County Public Schools prior to and during integration (1915-1973). The project was funded by the Virginia Foundation for the Humanities and Greater Lynchburg Community Trust. For information about archived oral history interviews or to purchase documentary films from the African-American Schools project or AGAR's earlier "Three Amherst Schools: Amherst Training School, Bear Mountain Indian Mission School and Clifford School" project, please call AGAR at 434-989-3215 or contact AGAR through this website. In conjunction with Black History Month 2013, AGAR has been asked to show several of its films relating to segregated African American Schools in Amherst County in the 20th century. AGAR has interviewed using oral history techniques, 74 people who attended or taught at segregated schools, African American, Monacan, and white. The oldest person interviewed about their school experiences was 103 years old, a student, and the second oldest, a retired teacher, was 102 years old when interviewed. Both ladies are now 104. We are still scheduling showings of the five films (see below). Showing of two films from AGAR's series of oral history interviews about teaching at or attending 20th century segregated schools in Amherst County Virginia. The two films concern African American Schools. The first is "Small Schools of Northern Amherst County" and the second is "Amherst Training School." A discussion follows, concetentrating on Oak Hill School, a one-room school that many older people who attend New Jersusalem attended when they were young, led by Eva Jones. Also participaing in discussions about Amherst Training School will be interviewer and student Jean Higgimbotham, students and now Pastor Jasper Fletcher and former teachers Annie Chambers Pinn. Displays of photos. In-school showing of film about Small Schools in the Northern part of Amherst County attended by African Americans during the 20th Century. Discussion with students led by Beverly Jones, retired teacher and chair of the Amherst County Public Schools Diversity Committee. Showing of Film about Central Elementary School and early integration in Amherst County. Discussion led by Jean Higginbotham, interviewer and former student in Amherst County. In-school showing of film about Small Schools from the Southern half of Amherst County, Virginia attended by African Americans during the 20th Century. Discussion with students led by Beverly Jones, retired teacher and chair of the Amherst County Public Schools Diversity Committee. Amherst County Museum and Historical Society, co-presenter. Showing of video and live presentation. Live Panel, who attended the small schools and Madison Heights High and Elementary / Colony Road: Lynn Rainville, Director of Tusculum Institute at Sweet Briar College, Facilitator. Speakers on the panel included former students and teachers at the schools in the films: Beverly Jones, Leon Parrish, Eva Jones, Rosa Brown, Roosevelt Christian, Irving Reed, Gloria Higginbotham, Jean Higginbotham, Mabel Hughes, Martha Turner and Madison Heights/Colony Road teacher Annie Chambers Pinn. Amherst County Senior Citizens Program, held at Ascension Church, Main Street, Amherst, VA. Screening of the small schools videos and partial screening about Madison Heights/Colony Road School. Facilitator Lynn Kable and speakers Beverly Jones and Jean Higginbotham. Centra Health / Fairmont Crossing Rehabilitation Center to present a DVD screening about the small schools in Southern Amherst County. Facilitators were Jean Higginbotham and Lynn Kable and speakers Beverly Jones and Annabelle Turner, who was about to celebrate her 103rd birthday. Several of the residents of Fairmont Crossing had attended the schools in the films, and added their oral memories about the schools. Amherst County Public Library, Madison Heights Branch, co-presenter. Video and live presentation about Central High School, Central Elementary School and memories of the early days of school integration in Amherst County from former teachers, parents and students. Facilitators Lynn Kable and Beverly Jones took questions from the audience for panel. Panel included parents: Mabel Hughes, Mary Woodruff, Hazel Thompson, students Darnette Woodruff Hill, Darnell Woodruff Winston, Angela Woodruff Scott, Theresa Henly, Leon Parrish and teachers Gloria Higginbotham, Beverly Jones and Herman Frederick. Scott Zion Baptist Church co-presenter, screening of Small schools, Madison Heights/Colony Road and partial screening of Central High School film. Facilitator: Beverly Jones. Present and speaking in answer to questions were teacher Clara Jackson, and students Mary Jackson, Roosevelt Christian, Leon Parrish, Juanita Roberson, Hazel Thompson, Melodie Fletcher, Dorothy Jackson. THE BIG READ is a program of the National Endowment for the Arts in partnership with Arts Midwest. www.NEABigRead.org Amherst Glebe Arts Response has received a grant for the 2014-2015 BIG READ. This year, we will learn about author Zora Neale Hurston's "Their Eyes Were Watching God." Public events for this project are listed below. Several will be added during the project. Additional programs such as books delivered with Meals on Wheels for Seniors or discussions at health care facilities or schools are not open to the public. Cost: $1 donation to benefit Anne Spencer House and Garden Museum. Actress Royal Shiree will emcee events at the Festival Stage in the role of Zora Neale Hurston at this year’s Third Annual Pierce Street Harlem Renaissance Festival. Visitors can go to AGAR's BIG READ table to receive free copies of "Their Eyes Are Watching God" and a children's companion book, "Lies and other Tall Tales," collected by Ms. Hurston, adapted and illustrated by Christopher Myers. 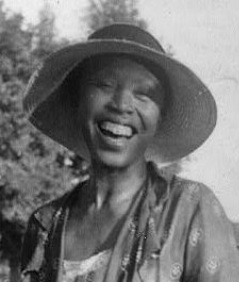 Poet Anne Spencer was a poet of the Harlem Renaissance who hosted many famous African American poets, writers, musicians, and politicians when they came through Lynchburg, Virginia. Her house and garden are now on the National Register of Historic Places, and the annual Pierce Street Harlem Renaissance Festival takes place on the street where she lived. Emmy-winning writer, scholar and performer Evelyn Moore, Ed.M., Harvard University, will deliver the keynote lecture at the kickoff event for THE BIG READ: Zora Neale Hurston's "Their Eyes Were Watching God." Ms. Moore received an Emmy Award in writing for the National SEED Project: “The Bridge” (www.nationalseedproject.org - Seeking Educational Equity and Diversity, a project operating out of the Wellesley Centers for Women at Wellesley College.) She is on the adjunct faculty of Lesley College in Cambridge, MA, where she teaches about multicultural education, drama and integrated arts. 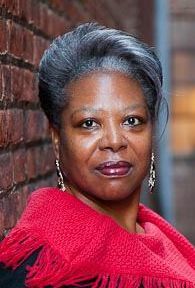 Ms. Moore is active in Boston in theatre and television, and is a leader in diversity training and gender equality. She acted in the PBS national telecast of The American Experience: Africans in America. For the Boston Science Museum, she wrote a play, For Those of Us Who Dream, about the life of Mae Jamison, the first female African-American Astronaut. She served as a contributing writer to the Blueprints for Teaching and Learning About the Harlem Renaissance. Following the keynote address, AGAR will screen Oprah Winfrey presents Halle Berry Their Eyes Were Watching God (2005) adapted/written for television by Suzan-Lori Parks, Misan Sagay and Bobby Smith, Jr., directed by Darnell Martin. The film is shown with permission. The evening event will begin with a panel discussion of the Harlem Renaissance movement and the works of its writers, composers, and visual artists. Speakers will be Shaun Spencer-Hester, President of the Anne Spencer House and Garden Museum in Lynchburg and granddaughter of Anne Spencer; Cecilia Smith, New York composer and jazz vibraphonist; and Leanne Zalewski, PhD, Assistant Professor of Art at Randolph College, Lynchburg. The second half of the evening will be a concert led by Cecilia Smith. who will perform pieces from the Harlem Renaissance period as well as a world premiere of a work she is creating around words of Zora Neale Hurston. Performing with Ms. Smith on the premiere will be the Lew Taylor Trio from Lynchburg, VA, and three members of the Amherst County High School (ACHS) band. Members of the ACHS show choir, The Amherechos, conducted by Melanie Coleman, will also perform Ms. Smith's adaptation of a Mary Lou Williams work originally composed during the Harlem Renaissance period. Ms. Smith has performed this work at the Kennedy center Women in Jazz program in Washington, DC. Audience members will be offered free copies of Their Eyes Were Watching God and bookmarks to take home, and Reader's and Teacher's Guides or URL's for online BIG READ materials. Actress and playwright Royal Shiree will premiere this one-act play she has written about the lives, works, and relationship of Harlem Renaissance Poet Anne Spencer and novelist and anthropologist Zora Neale Hurston. Ms. Shiree will perform all roles. The play will be performed on the garden stage of the Anne Spencer House and Garden Museum. In case of rain, the performance will be moved inside the house. Hurston and Spencer: A Poetic Tale of Two Renaissance Women will premiere in the afternoon of the museum's fall open house. The open house will be from 10am to 4pm. AGAR will have a BIG READ table at the event advertising upcoming BIG READ events and book discussions, as well as distributing free books, BIG READ reader's guides and bookmarks. This is a repeat performance of the play (description above) at the Amherst County Museum, outdoors in front of the one-room Tyler School. In case of rain the play will be performed inside the Hamble Building of the Museum. A discussion about Zoea Neale Hurston and Their Eyes Were Watching God with Royal Shiree and AGAR staff will follow the performance. Audience members will be offered books and bookmarks to take home, as well as listings of future BIG READ events. 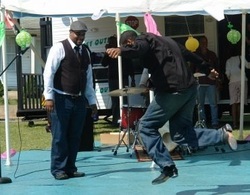 The annual Clifford Sorghum Festival will feature traditional rural events including the Virginia State Jousting Tournament, sorghum molasses grinding and cooking, apple-butter and Brunswick Stew making, and entertainment by award-winning blues duo Profitt and Sandidge, bluegrass bands Deep Blue Express and Clearwater Branch, seventies band Rough Around the Edges, and the Amherst Dance Academy. This Year AGAR will have a table for THE BIG READ: Their Eyes Were Watching God and will give out copies of the book and a children's companion book, Lies and Other Tall Tales collected by Zora Neale Hurston, adapted and illustrated by Christopher Myers. AGAR will also give out BIG READ Reader's Guides and Bookmarks. Cost: Free. Fee to enter the park. James River State Park's Annual Fall Festival hosts families who are camping at the park as well as visitors from Gladstone and neighboring communities. AGAR will have a "BIG READ" table with an actress dressed as Zora Neale Hurston and AGAR volunteers who will be available to talk about Zora Neale Hurston, the Harlem Renaissance and Ms. Hurston's work. The table will give out BIG READ book Their Eyes Were Watching God and a companion book for children Lies and Other Tall Tales, collected by Zora Neale Hurston, adapted and illustrated by Christopher Myers, as well as BIG READ bookmarks, Reader's Guides and schedules of AGAR BIG READ activities. AGA volunteers will lead a discussion for children on "Lies and Other Tall Tales" and Ms. Hurston. AGAR staff and Melodie Campbell Fletcher will read and discuss with children aged 5 to 8 two companion books for THE BIG READ "The Three Witches" collected by Zora Neale Hurston, adapted by Joyce Carol Thomas, and Illustrated by Faith Ringgold as well as "Lies and Other Tall Tales" collected by Zora Neale Hurston and adapted and illustrated by Christopher Myers. Children will be offered art activities around tall tales. Children will be offered copies of "Lies and Other Tall Tales" and BIG READ bookmarks to take home. AGAR staff and Melodie Campbell Fletcher will read and discuss with students aged 9 to 12 two companion books for THE BIG READ "The Three Witches" collected by Zora Neale Hurston, adapted by Joyce Carol Thomas and Illustrated by Faith Ringgold, as well as "Lies and Other Tall Tales" collected by Zora Neale Hurston and adapted and illustrated by Christopher Myers. Students will also present information and other library books about the Harlem Renaissance, including, "Story Painter: The Life of Jacob Lawrence," by John Duggleby. Children will be offered copies of "Lies and Other Tall Tales" and BIG READ bookmarks to take home.